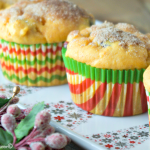 These Sweet Potato Muffins are a great addition to your busy holiday season. Perfect for Thanksgiving, Black Friday or Christmas Brunch. I can’t believe Thanksgiving is less than two weeks away and Christmas less than six. Time to start making my toffee and Christmas cookies. Maybe next weekend. But last weekend I made these Sweet Potato Muffins because I had 3 yams sitting in the pantry that was not going to make it until Thanksgiving so I decided to give these muffins a try. Sweet potato has a more subtle flavor than if using pumpkin. Don’t get me wrong I love pumpkin muffins just as long as it doesn’t have chocolate. I am not a fan of the pumpkin/chocolate combination. I know I am in the minority. But I digress. Back to my muffins. 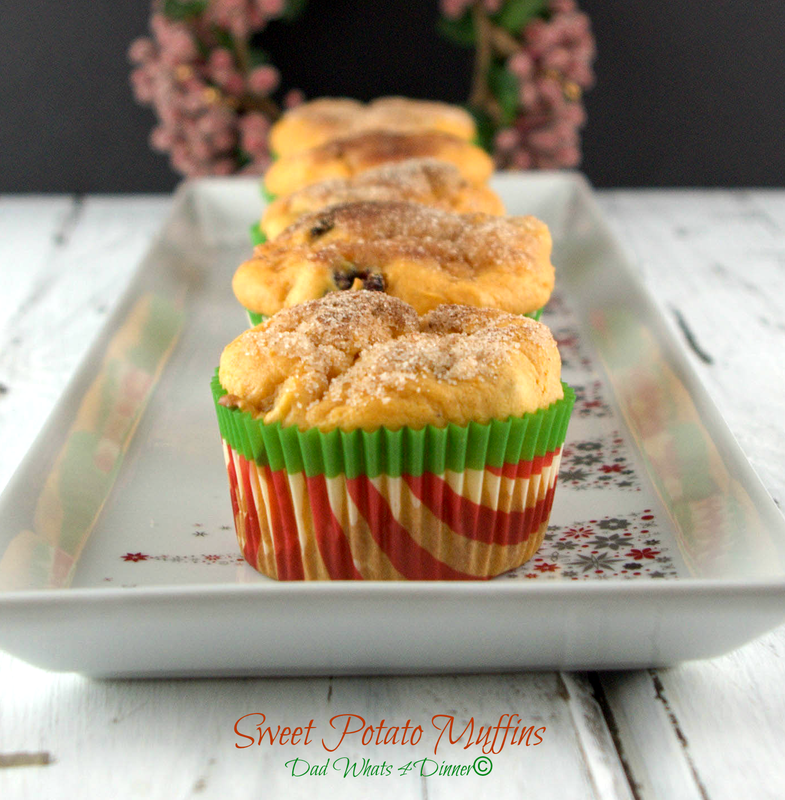 These sweet potato muffins would make a great addition to Thanksgiving or for Black Friday morning to give you the energy you need to keep on shopping. Don’t wake me I will be sleeping. If you are making a sweet potato casserole for Thanksgiving just add another 3 to the pot and reserve 16 ounces to make the muffin batter later. For a twist, I added Craisins® to half of the batter. I liked the combination of flavors but they were perfect as is. Pecans would also be a nice addition. The process of adding the topping, after the muffin has been baked, is a different twist. Don’t let the muffins cool to much before dipping in the melted butter or it will just run off. 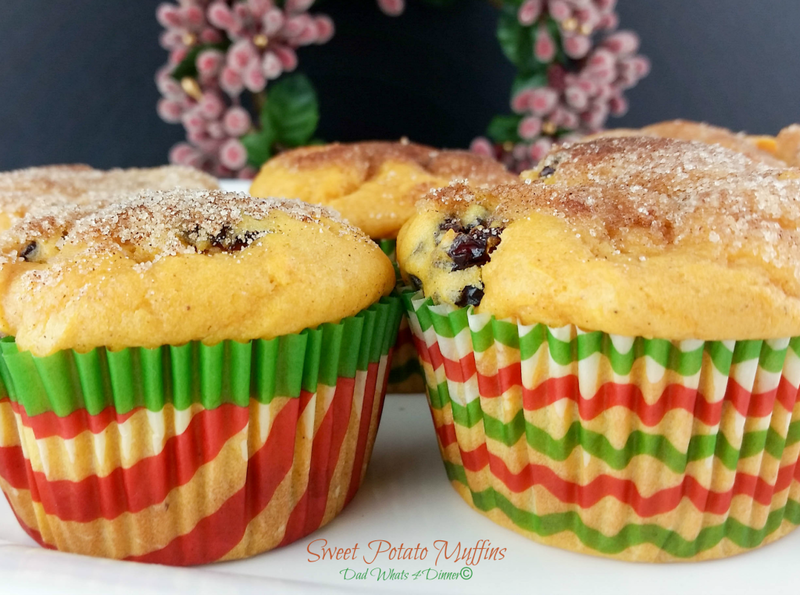 A perfect muffin for the busy holiday season. Add the sweet potatoes and cook until tender, 15 to 20 minutes. Transfer to a food processor and pulse until slightly fluffy. Spoon the sweet potatoes into a bowl. Cool to room temperature. Grease 12 regular size muffin cups with butter. Place cups in muffin tins. In a bowl, sift together the flour, cinnamon, nutmeg, orange zest, baking powder and salt. With your stand mixer, fixed with the whisk attachment, whisk the eggs and sugar on high for 30 seconds. Slowly add butter in two or three pours, whisking to combine after each. Add sour cream and sweet potatoes, whisk until just combined. With mixer on low slowly fold in the flour mixture in 2 pours. Mix until just evenly moistened. Using a large rubber spatula, fold in the craisins and pecans until just evenly distributed, Do not overmix. Spoon the batter into the prepared muffin cups, filling them three-fourths full. Bake until the muffins are golden and a toothpick inserted into the center comes out clean, 18 to 22 minutes. While muffins are baking. combine sugar and cinnamon in a bowl. Melt 4 tablespoons of butter in another bowl..
After the muffins have cooled for 5 minutes, working with one muffin at a time, dip the top of the muffin in melted butter then into the cinnamon/sugar mixture. Place on baking rack to cool. I never met a muffin I didn’t want to eat! Yours look delicious! Thank you for sharing your recipe with us at Snickerdoodle Sunday! Pinning! I’ve only used sweet potatoes to make muffins once before, but they turned out great. It was a great alternative to pumpkin. Your muffins look delicious. Yeah I was surprised how good they turned out. Thanks for stopping by Natalie. Have a great week. These just might make an appearance at our table Thanksgiving! Thank you! Thanks they turned out very good. Have a Happy Thanksgiving. These sound fantastic! Yum! Thanks for linking up to Merry Monday! 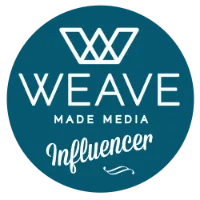 Sharing on G+ & Pinned! Have a great week! Thanks Kim. They turned out really good. Might be a little early for the Christmas theme but Oh Well. Thanks for stopping by. 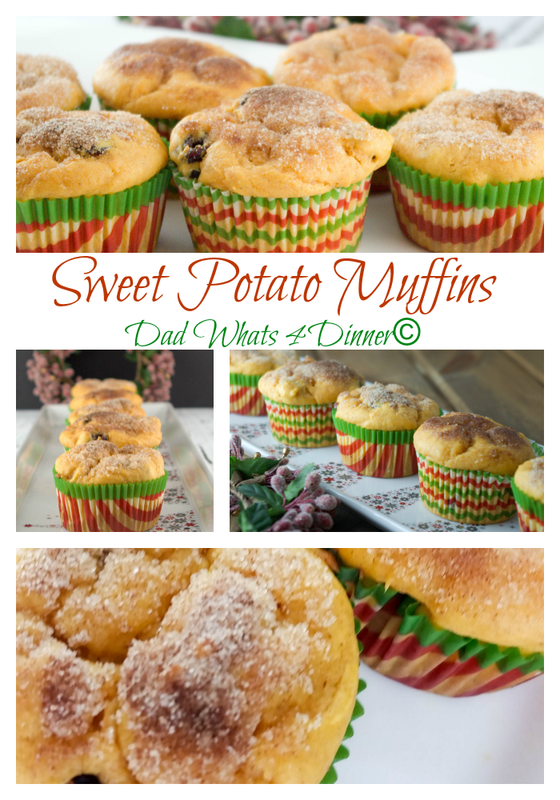 I love sweet potatoes and muffins, so putting them together sounds devine!! I’m featuring your recipe this week at You’re Gonna Love it! Thanks for linking up! Thanks for the feature Kim. It is a great muffin and I will be bringing more great recipes this week. These muffins look delicious Quinn! Nice and light and domed perfectly. I do have a nice dome… sent you a google message!! 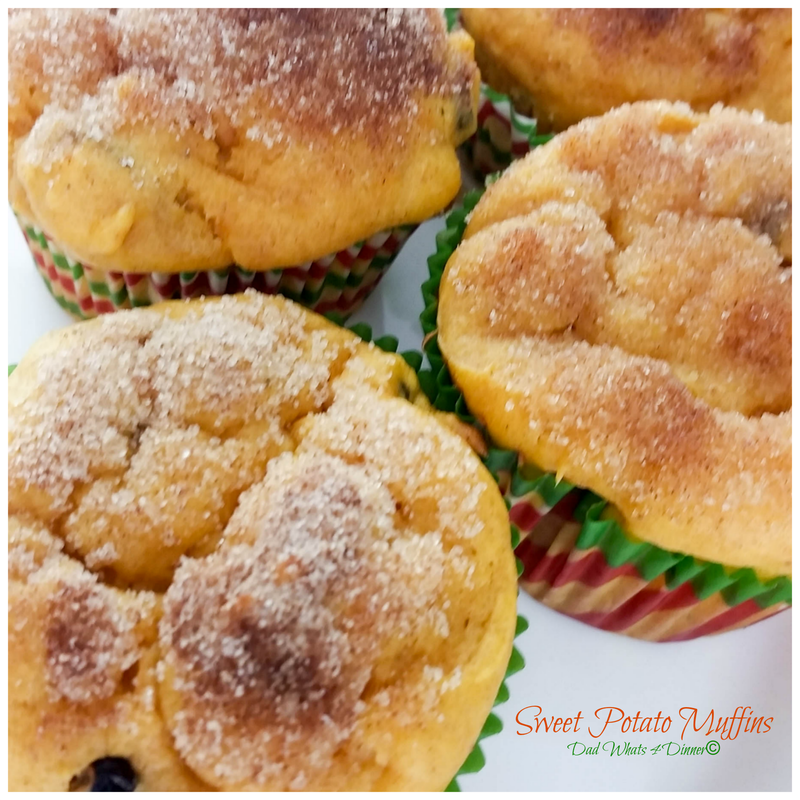 I love the taste of sweet potatoes and these muffins look absolutely scrumptious.I like pecans and craisins but I bet they taste awesome without the additions too! Thanks for sharing them at Fiesta Friday! 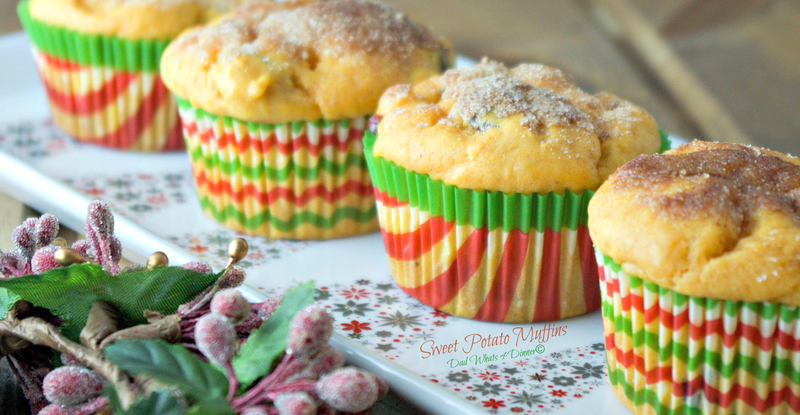 Sweet potato muffins with lots of good ingredients. I would love to taste one (or two). I like your colorful muffin paper ! Happy Fiesta Friday Quinn!